← Perfect combo – Puri & Vegetable Saagu! Mum would make yummy Kofta curry and Kofta fry for us. Here’s how you can make them too! To Make the Koftas refer to the Mutton kofta recipe. Grind the kheema and masala as shown in the recipe, mix well in a bowl and keep it aside. ( do not deep fry the Koftas). Thinly slice the onions and dry roast them for about 8-10 minutes. After it cools, grind along with ginger garlic paste and half of coriander leaves. Heat oil in a Kadai And fry the onion paste for sometime. Grind the tomato and add it and fry till the raw smell goes and oil separates. Add all the powders and salt and fry well. Now add some water and bring the gravy to a boil. Meanwhile shape the kheema into lemon sized balls. Once the gravy comes to a boil, add the kheema And curd, cook for 45 minutes on low flame. If you want to add the coconut paste add it after 45 minutes and cook for another 15 minutes. If not add the remaining coriander leaves and cook for total 1 hour on low flame. Note: if you do not want to grind the onion, finely chop and fry till golden brown, then add the ginger garlic paste and tomatoes and follow the same procedure above. 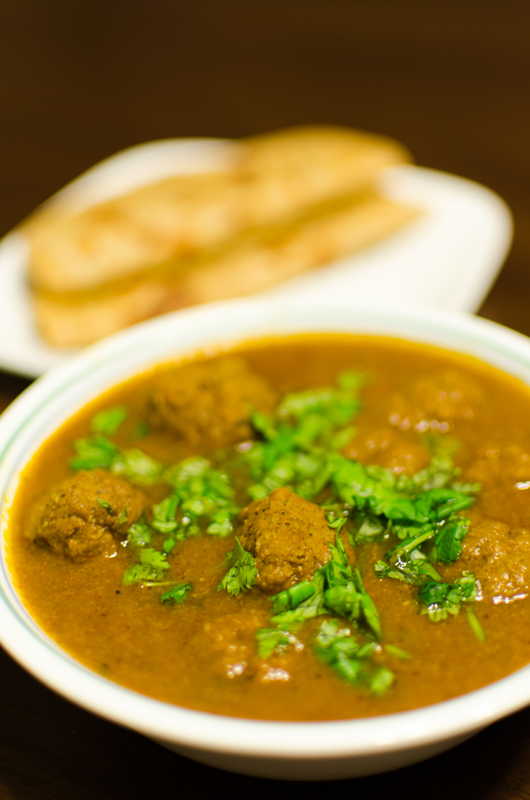 This entry was posted in Non-Vegetarian and tagged kofta curry, Koftas, Mutton Koftas. Bookmark the permalink.